LAS VEGAS — The first round of the NASCAR Playoffs has a decidedly different look this year, one that includes a fresh batch of uncertainty as the curtain-closer. Last season, the Round of 16 for the Monster Energy Series traveled from Chicagoland to New Hampshire before wrapping up at Dover. This year, the postseason opens with Las Vegas, adds Richmond to the mix, then finishes with a brand-new event at Charlotte Motor Speedway’s road course/oval layout. That significant schedule shift had drivers talking at Thursday’s NASCAR Playoffs Media Day at the South Point Hotel and Casino. 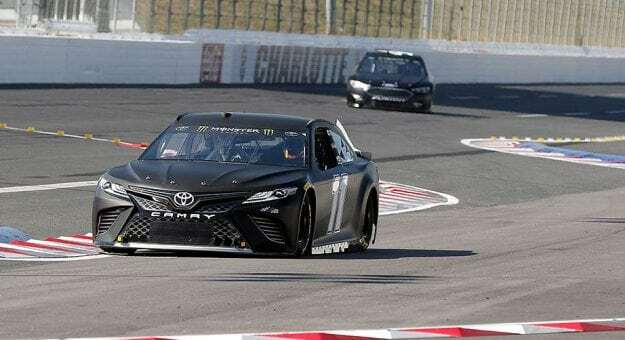 Several stressed the need to win at either Vegas or Richmond to enter the Charlotte elimination race with playoff immunity, knowing how wildly entertaining that race could be. Kurt Busch (Stewart-Haas Racing No. 41 Ford): “This is a big difference this year. We haven’t had a lot of race dates moved around in the playoffs and so to have three tracks that have never been part of the playoffs before, there’s zero notes going into this.